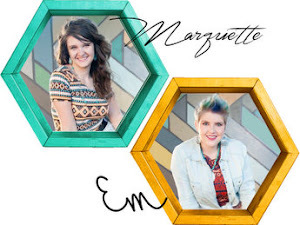 Em here, so a super huge thanks to Marquette for taking over this weekend while I had STREP! Boo, it always seems we alternate between being sick or out of town, we must stop this so more epic Pinterest testing can happen! Anyways, Meredith sent us this pin worth testing, and I thought it was genius, and well she did the work of figuring out why certain things just don't work, everyone say "Thank You Meredith". Here is tonight's Pinstrosity! The tutorial says to use bleach in a large Rubbermaid bin, and has specific measurements for the bleach (3 cups for 3-4 gallons of water, but I suggest if you are going to do this project go to the original tutorial and read the directions). Meredith didn't have a Rubbermaid bin, so she used her bath tub, but that wasn't working so she switched to a large metal bin, trouble proceeds. Then the cap on her bleach wasn't coming off, so she chopped it off and used WAY too much, more trouble proceeds. Next the metal bin caused rust stains (Are we surprised? Using metal for things like this will almost always result in rust :( sad day.) and so she washed the jeans to try to get the rust stains out. You guessed it, more trouble. The bleach combined with the washer completely thrashed the jeans. The blog says to use quality jeans because the bleach will totally trash lower quality jeans to threads (that results in what we see above!). 1. Use a Rubbermaid bin, preferably a large one that you might use for storage. 2. Follow the measurements of water/bleach ratio. 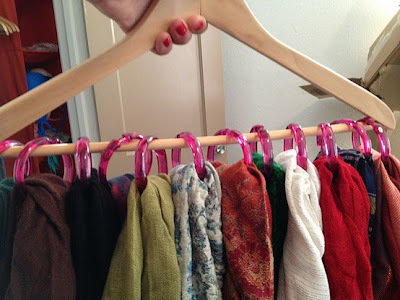 4.Follow the directions of the blog, the writer also mentions to soak them in warm water before you begin the process, then she later uses Rit Dye to make them pink, read her directions and then follow them for this one to work out best. her directions were easy, and she seems like she has had trial and error for this one, so she (and Meredith) have done the work for you!! We would love to hear from you guys, have you done this project? How did it turn out, more trouble? 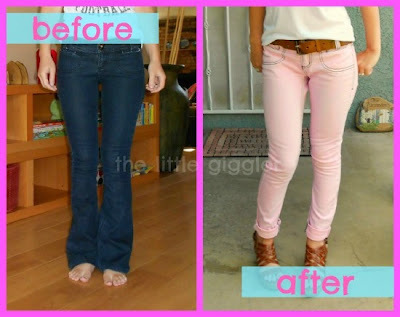 Or did you end up with some totally-awesome-super-trendy-DIY pastel jeans?! Let us know! When I was first married I was given my first bag of Amish Friendship Bread. For about 5 months I was a bread making fiend. We ate this stuff for breakfast, lunch, and dinner (and then wondered why we gained weight). I hadn't thought about this bread for quite a while until Becci sent us this Pinstrosity. Seriously, this stuff is so dang good. If you've never been given a starter bag the link above has directions (at the bottom of the post) to get your own batch started. I know this seems like a lot of work for bread, but it really isn't all that hard and it is SOOOOO yummy. You need to try this stuff. Becci tried it out and had a little trouble. She told us, "It would NOT come out of the pan!!! 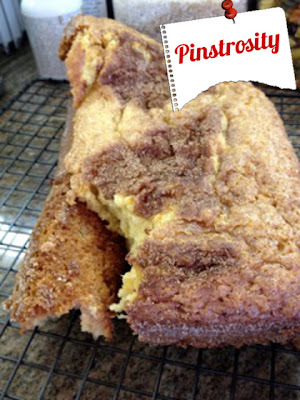 The recipe says to coat the pan in spray then dust with sugar and cinnamon mixture. It turned into cement in the pan! It did taste delicious, though I couldn't wrap it up and give it to the neighbors. :)"
This was a problem I had early on when I first started making this bread. I figured out a few tricks though that helped. Instead of using baking spray to grease the pans, I would use shortening or butter. Take a paper towel (or your fingers...I just used my fingers) and coat your pan. You don't want a really thick layer but you want to make sure your pan is thoroughly coated. I started increasing the amount of the sugar/cinnamon mixture by half so that I would have extra. This allowed me to get an even thicker coat of the sugar mixture lining the pan. Not only did this help keep the bread from sticking to the pan, but it made it extra yummy! I let the bread cool for about 10-15 minutes (depending on how warm of a day it was). When the bread is a little more cool it will come out of the pan easier. Sometimes I would take the bread out of the oven and put them up-side-down on a cooling rack and let them cool that way. As they cooled gravity did its work and helped the bread to pull away from the pan. Can you believe it!? We're beyond excited. So, in honor of this being our 100th post and for reaching the one million page view mark we are having a competition! So let me give you the low down on what's goin' on. You! You and your friend. You and your dog. You and your sugar glider. Pretty much, this competition is for you? How do I know it's for you? Because you're reading this. To enter the competition you'll need to test out a Pinterest pin (more on that in just a few lines), write up an awesome post about it (including pictures), and send it our way! It doesn't matter if your testing ends in a Pin Win or a Pinstrosity, write it up and send it our way. 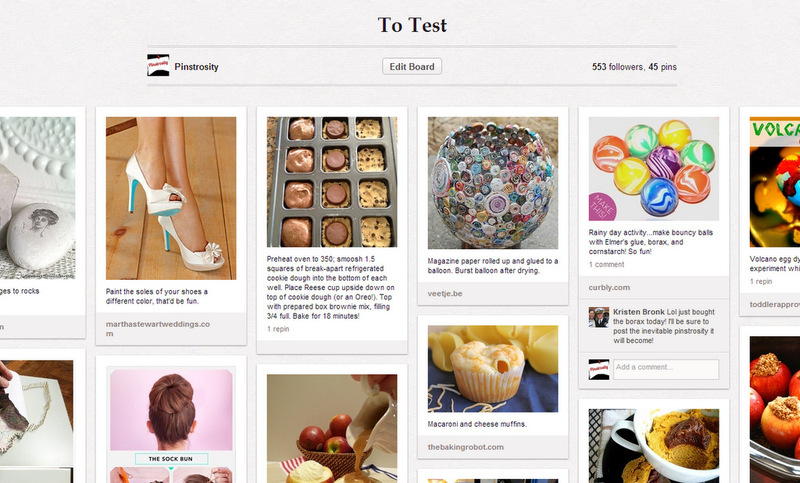 Where do you get the Pinterest pins to test out? OUR "To Test" board on Pinterest. We've got a good collection of some of the most popular pins. You have until 11:30 p.m. (Mountain Time Zone) on August 8th, 2012 to submit your entry. Because it's fun! And...because the winner will receive a $50 Gift Card to Amazon.com (where you can get just about anything). The winning entry will be featured on the blog as a guest writer. We will also pick 2 runner-up entries, which will be featured on the blog as guest writers. Pick out your pin to test. Test it out and take photos. Write up your post about your experience. Not sure where to start...there's a guiding outline after these directions that you may use. Do you have to use the outline? Nope, not at all. But if you get stumped, try it out. Email it to us! Be sure to send us your name and to have "The Pinstrosity Challenge" as your subject. You can type your entry right into the email, you can attach it as a word document, or you can post it on your own blog/site and send us the link. Why you picked this pin to test? Photos! Don’t forget the photos, that is what makes the post good! Did you end up with a Pinstrosity or a Pin Win? What did you change from the original pin? The Dissection. This is the hard part…but we know you can do it. What contributed to your Pin Win or Pinstrosity? What could you have done to improve on your project? If you ended up with a Pin Win, did you have to modify the project to get there? If you ended up with a Pinstrosity, how could you salvage the project for future use, or what could be done differently next time to get better results? Don’t know what went wrong or how to fix it? See what google has to say first, and then if you’re still stumped…just tell us your theory and we’ll see what we can figure out. Make sure to include links to any sites that helped you in your sleuthing! Your post must be submitted by 11:30 p.m. (MST) on August 8th, 2012. No late submission will be accepted. While we still want to receive your Pinstrosities of any pin you have posted, entries for this competition must be taken from our To Test pins. We will not accept any entry which tested a pin that was not on that board. Entries containing vulgarity or profanity will not be accepted. Judging is not based on how good of a Pin Win or how "up-in-flames" of a Pinstrosity you have, so do try your best to test your pin well. The winning entry will be chosen by the two of us. We are looking for creativity, thorough testing, and a well written entry. added 7/31/12: There are no restrictions as to how many projects you can submit (obviously, only one entry per test), nor are there any restrictions as to where you live...so if you're in Antarctica and want to join in, by all means please do. Thank you, to each of you, for your help in making Pinstrosity a success. We are so pleased and excited with the response we have received to Pinstrosity. We can't wait to see what you all can do!Good luck! I love themed parties. They are such a great chance to stretch the creativity, try something new, and they are just so much fun! 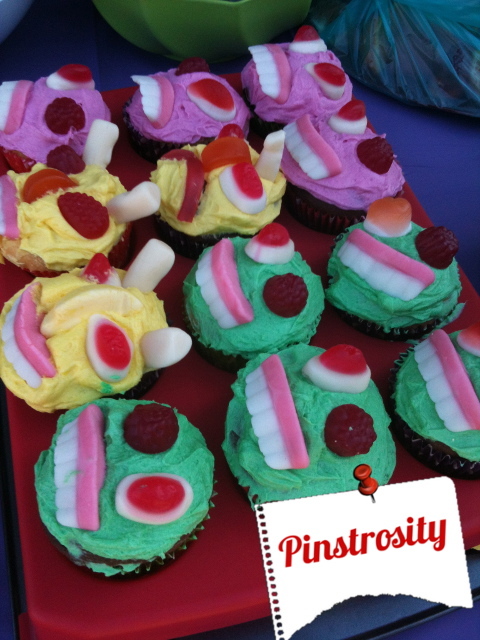 We had a whole party of Pinstrosities sent to us from Rav from her "Monster"ous party...it was a graveyard smash. My hats off to Rav, those are quite the pins to be pursuing. I love the go-get-'em-ness! "Hmmmmmm...didn't even make it out of the tupperware container. Couldn't find green ice-cream cones, the eyes all fell off and it was a super windy day in the park so they would have all blown away anyway." While I still love how they turned out, there are a few things that could help get the desired look. I have only seen green ice cream cones a few times in the grocery store, and there were only 6 or so in the box (along with pinks and browns), so you'd have to buy quite a few boxes to get enough green ice cream cones if you did it that way. Regardless of the color of the cone, the decorations will make or break these little guys. One way to get the desired look is eye placement. If you look in the original picture, the eyes are down on the narrow end of the cone rather than up on the wide end. This will give the look of filling the monsters head a little more (and if you are using the green cones it will help give that tall Frankenstein-ish forehead). 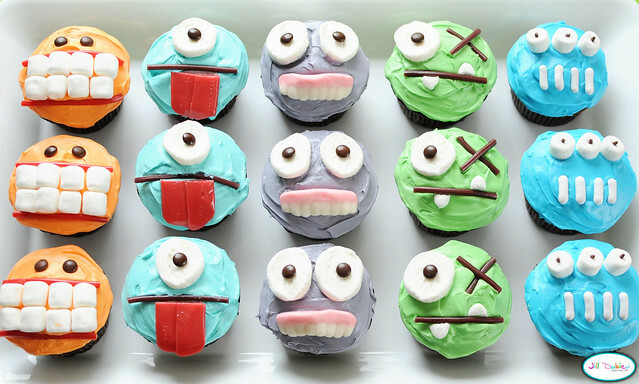 To get a similar eye look without having to order candy eyes, use mini candies and a good glob of white frosting to stick them on. Rav told us the original pinspiration was "Far beyond our culinary capabilities but this little cake turned out super cute anyhoo." 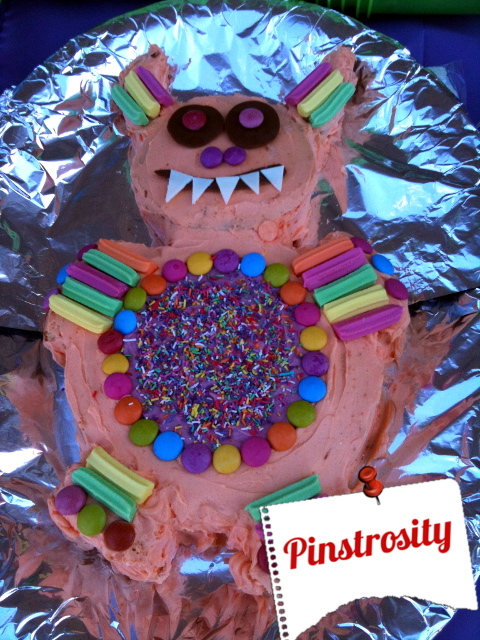 Honestly, I love this monster cake; so cute and creative! The other cake would have scared me off too. "I actually think these have more 'personality' and they were very delicious." The only way to get exactly the look of the original pin on this one is to have the same decorating supplies. I think Rav did excellent with these; they resemble the original pin and still look like monsters, but they have their own personality, as Rav said herself. We hosted our first ever Halloween party this past year and didn't see these little gems until a few months later, but they're on the docket for this year! We don't know where this collage came from, or the instructions, but we've done some searching and sleuthing and we found the original sources for the photos used. The image on the left is courtesy of Lemonberry Moon on their Flickr site (http://www.flickr.com/photos/50581003@N08/6462080439/in/set-72157628927431309) and the photo on the right comes from http://www.instructables.com/id/Bowl-of-Worms-Anyone/. Now, I can see how if you were to follow the instructions shown above there could be trouble. Our submitter definitely ran into trouble. Yummy yummy yummy. Melted brains? We didn't get the process from our submitter, so we're not exactly sure what she did, but if they followed the instructions on the picture they sent, I'm sure they had plenty of issues. 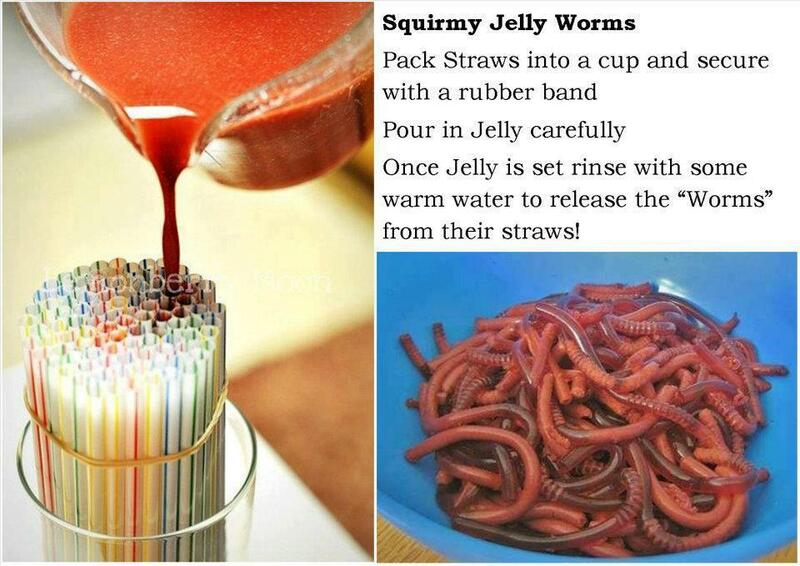 Jelly worms and Jello worms would be completely different. Jelly is not going to just set up. It stays jelly unless you add stuff to it. Jello is definitely more what you are looking for here. **We had a comment come in that may explain the instructions to pour in jelly: "Just FYI when you run across the term 'jelly' - in the UK and I think Australia, the term 'jelly' refers to a dessert made with gelatin. 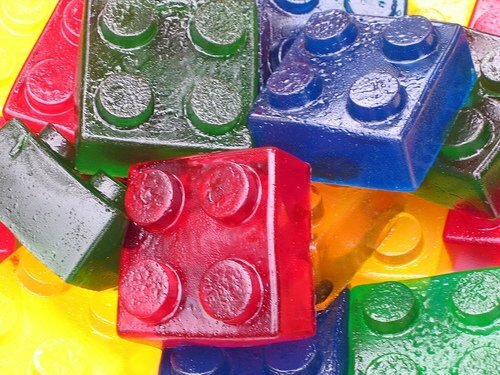 It's called 'Jell-O' in the US because that's the brand-name most people are aware of (think 'Make Jell-O brand gelatin...and make some fun!'). "** Thank you Meijhen! I've seen this project pinned a number of times. Sometimes the pin just says "Pour jello in straws and let it set to get jello worms!". Well, there's more to it than just pouring jello in the straws. You need to add extra gelatin to make the jello set up firm enough, and adding cream will make them look more like worms and less like jello. When I emailed Lemonberry Moon to verify the ownership of the photo in the original pin, they laughed and responded, "Ha! This cracks me up because I know what a PAIN these were to make and how easily they could go horribly wrong :)"
Want to know how to make these? I've got a few great resources for you today. Rather than copy and paste all their hard work here, we'd love it if you went to their sites and checked them out. First, the creative geniuses over at Lemonberry Moon have a whole bug themed party plan (with instructions for these jello worms, spider egg cookies, and other creepy crawly treats) on their etsy site. They have some really great ideas. 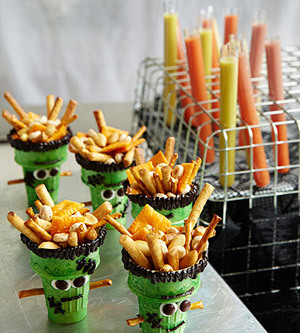 Second, over at instructables.com, instructions with pictures are posted to show how to make these creepy treats. http://www.instructables.com/id/Bowl-of-Worms-Anyone/. Third, you can find instructions over at http://www.theidearoom.net/2009/09/jell-o-blood-worms.html?mid=5125903. It really amazes me how much people think ahead. Buying after Christmas candy on sale to save for a project for Valentines Day? Genius and super on the ball. Aren't those great?! Heart suckers made from the mini candy canes. Tori saw this idea and jumped on it, buying her candy canes in the after Christmas sales. 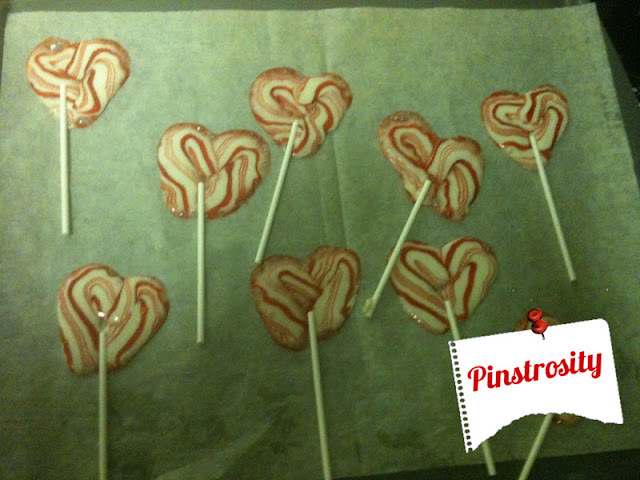 She says, "I had been wanting to make these cute heart lollipops for valentines day for some time, so I found the mini candy canes right after Christmas and saved them. It turns out these things are harder to make." Didn't know candy canes could melt did you...me neither. "I overcooked them, even though the instructions say 6-8 minutes (which is what I did), and they turned out hideous." I've got a few ideas to help you out there Tori. 1. The instructions over at theidearoom.net (which is where the photo Tori sent us is from) says that if you want to use the oven method to "Place them in a heated 350 degree oven and watch them closely. After 3-5 minutes, they will be melty and bubbly." 6-8 minutes was probably a little too long at that high of a temperature. When I tested those hard candy suckers I "baked" the candies at 200 degrees for about 5 minutes and that was plenty to melt them at that low of a temperature. I would way reduce the heat in the oven, or way way way reduce the amount of time you leave the candies in. If you keep the temp up at 350, I'd sit and watch and as soon as they started to look sticky I'd pull them out. 2. Getting the candies this melted wasn't quite the point, but if it happens again one way you can dress up the appearance is by getting the stick in the candy more. 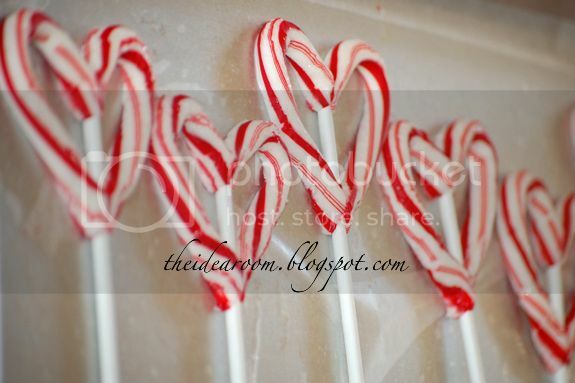 While the candy canes are still hot and melted, you want to set the stick in place and then twist it to pull the candy up and over the stick. This will help it look a little more like a sucker and it will help to keep it all stuck on the stick better. Em here, after having a crafty day with my mum, I am now turning to a food Pinstrosity! Elizabeth sent us this doozey in the kitchen, let's check it out! 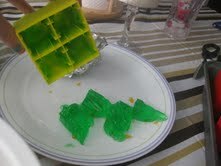 1.Use a Jello mold, they are specifically made for making these tiny gelatin masterpieces...the one the original pin suggested is found here. 2.After following the Jello instructions to a T, (remember Jello is a wild one and is strict with the rules), take the whole thing out of the fridge, and put in a bowl or sink of hot water for around 10 seconds, up to where the top of Jello is (Jello side up, bottom of bowl down!). 3. Next gently shake mold from side to side. 4. Place plate on top and flip over. 5. If it is still sticking try the hot water again, but for less time than the first time, you don't want to warp the mold. 6. 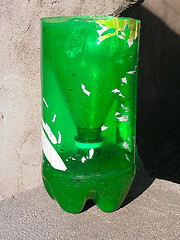 Another tip is to stick with plastic and metal molds, they seem to be more user friendly. Good luck Jello lovers! Let us know if you have any other suggestions or words to the wise, we love your feedback! Happy Thursday! Cake pops are getting more and more creative. We had these adorable duck cake pops sent in to us by a cake pop first timer. So dang cute. Mallory tells us "made these to help out for the 2nd baby shower my sister had that I wasn't hosting. 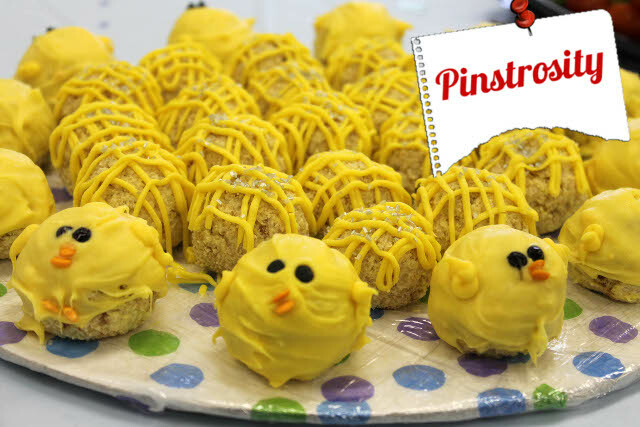 It was a duck theme, so I had this great idea to do duck cake pops that I found on Pinterest. Having never tried this recipe before, and having absolutely NO skills in the baking department whatsoever, I failed miserably at this attempt." I wouldn't say that is a miserable fail at all. In fact, for a first timer those are pretty awesome. In fact, those are just awesome just anyway. Malloy will "still swear they look more like Furby's than ducks.. But everyone was sweet and talked about how "cute" and "adorable" they were. They were full of [poop], of course, but it was nice of them to try to make me feel better about how terrifying they looked. On a positive note, they did taste *exceptional*. So that's all that matters, right?" Decorating the cake pops is still the hardest part for me, but I've learned a few things that help to make it not such an ordeal. First off, I add a little shortening to my chocolate/candy melts to make it a little more runny and smooth. It helps it to go on the pop better and to sit more smoothly. I don't know if Mallory tried the sticks or not, but putting the sucker sticks in the cake balls really makes it a lot easier to dip and decorate the cake balls/pops (unless you're going for more of the cake truffle thing). 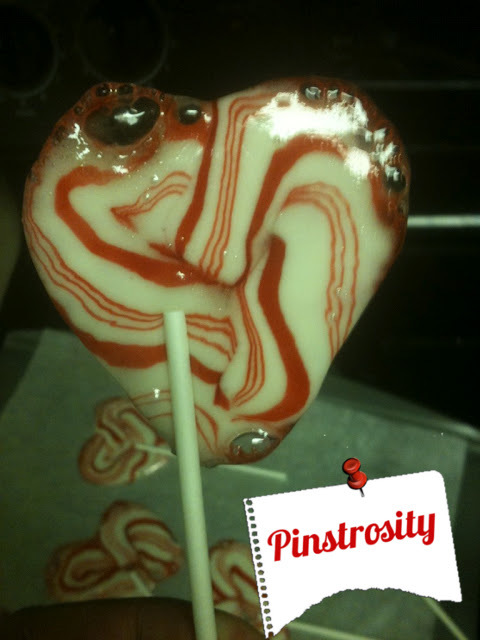 Dip the stick in the melted coating first before inserting it into the cake ball, and let it set up before dipping the cake pop. After dipping the cake pop, I tap the stick on the side of the bowl while turning the cake pop, this helps to get excess coating off and to smooth out the coating as well. If I'm just doing cake balls/truffles, I use a fork to scoop the cake balls out of the coating so that some of the excess coating can escape. You definitely want to decorate before the coating sets up so that your add-ons stick to the cake pop/balls. Em here, I'm writing tonight while Marquette recovers! She is a doll, and hasn't been doing so hot the last day or so, so send her your positive vibes, and get-well-soon wishes! Tonight we are featuring the ol' sharpie decorating a mug myth. Check it out! 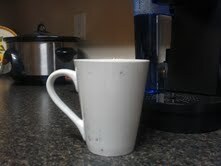 Kelly followed the directions, decorating the ceramic mug with a black Sharpie, baking it at 350 degrees for 30 minutes. She even took the extra precaution of waiting 24 hours before letting her hubby use it. But to no avail...after he finished drinking his morning joe much of the design had rubbed off, and then when Kelly washed it the rest came off without putting up a fight. Harsh I know, but a Sharpie would really only work if this was a "un-fired", or porous ceramic mug, and even then it might only stay a bit longer than seen here. I would suggest using a marker that is specially tailored to ceramic, such as the Vitrea brand markers, or buy a ceramic art kit already all put together, which you can find at most craft stores. I am no Sharpie expert so I can't tell you why this particular project doesn't work other than I am sure it has something to do with the clear glaze put on top of most ceramic wear. If anyone has had some awesome success with this, please let us know your secret! A picture is worth a thousand words, so I will just let the pictures do the talking. And here is what Ashley sent us, after these words "TO BE FAIR: I didn't actually look at the recipes, because I thought - how hard could that be? Big, big mistake. I am humbled. On the bright side, I entertained a lot of people with these photos." My face probably feels like those cakes did...but at least they taste good. I'm sure my face does not taste good, especially with the Desert Miracle Salve I'm trying on it. Em here, so I guess Marquette and I are on the same wave length, because again, this is one of our own! Here goes! 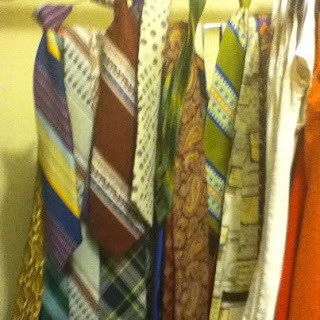 Ok, ok, in MY defense, this is it pretty mangled after Chip tried to get all his ties off (they were begging for mercy at that point). However it didn't turn out well to begin with. I used masking tape, mistake number one (what was I thinking, seriously?! Masking tape?!). 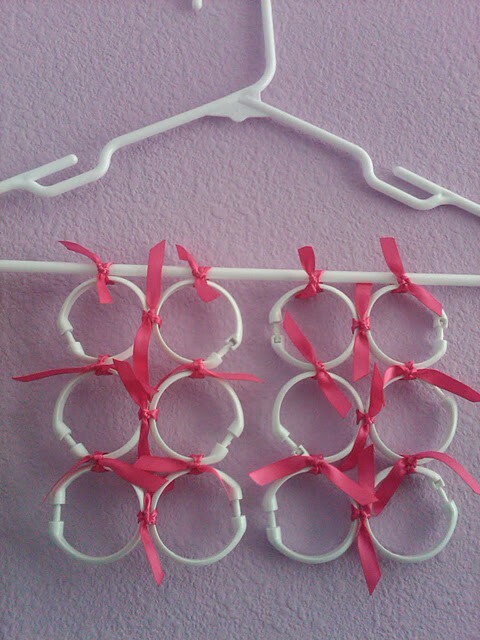 Then I put the hooks on the inside, which is fine, except I used WAY too many shower curtain hooks for one hanger, I should have broken it up between two hangers, mistake number two. 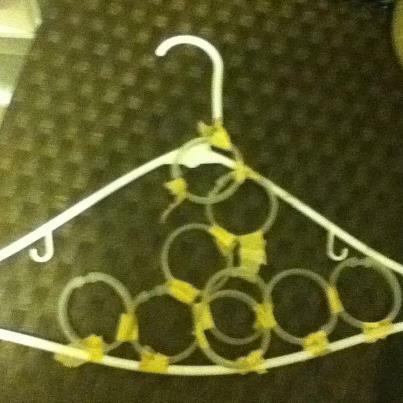 Then I used a plastic hanger, because that is what I had, mistake number three. Don't put too many items on one hanger, it kinda defeats the purpose of an organized closet. ALSO in my defense I was making this late at night, so maybe I was exhausted and not thinking clearly...anyways, embarrassing yes, but now informative for you, also a yes. I used to think that dinner food was my favorite...and I still love it, but I'm really getting into breakfast foods lately. Or maybe it's just breakfast time and that's skewing my opinion right this moment. Either way, this morning's Pinstrosity looks DELISH! Simple Cream Cheese Danishes. Oh heavens, I love cream cheese danishes. SOOO good. Grace "saw this recipe and thought, 'Hey, crescent rolls turned into my favorite breakfast food? That sounds amazing!' I mean, come on, I love me some danishes! Ummmm, well, maybe not so much." 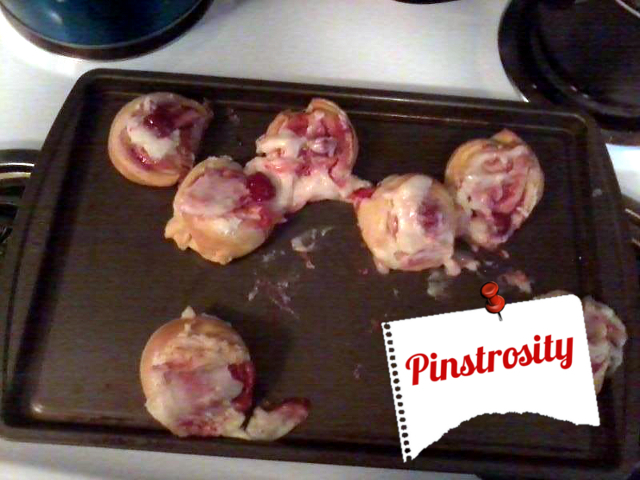 "The cream cheese filling and cherry glaze just slid right off the tops of the rolls as it was baking, and the picture shows the result of my trying to salvage the filling by spooning it back over the top of the crescent rolls. Not nearly as pretty as I had hoped! The recipe itself was still edible, and actually very tasty. Actually, the whole pan was eaten in about 15 minutes. Did I mention I love danishes?" Grace...you and I could be breakfast buddies. Oh man I love danishes. So now let's dissect these scrumptious puppies. I don't know if it's the difference in angles that the photo were taken, but the danishes in the original picture don't look quite as tall as Grace's; Grace's rolls look more round and full (like a full moon...get my corny title now? hahahaha). The difference in shape could have easily contributed to the filling staying in vs. the filling sliding off. If there is a place to slide off on the danish, it probably isn't quite flat enough and/or the indentation in the middle wasn't quite deep/wide enough. I'd start by making sure I had a good sized indentation (and then it'll hold more filling, which is the whole point, right?). Honestly, I think that's pretty much it. Again...when I'm done with this sugar free and low carb deal, these are on the list of "I must have these" recipes. I saw this recipe for Strawberry Shortcake Muffins (gluten free and sugar free!) and I had/have been craving them all day. They just look SO good. Well, I don't have yogurt in my house today, nor do I have the ability to get any unless I want to walk 20 miles into town. Not so much. So then I get the brilliant idea...I don't have yogurt but I have cream cheese. 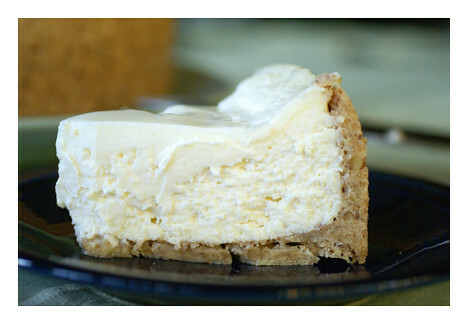 So I look up baked cheese cake and baked cream cheese cup recipes. I was trying to keep it as low on sugar, carbs and fat as I could (I know...why try? Those there are the best parts of food, right? ), so I decided to try substituting Truvia for the sugar. I mixed it all up, added berries, poured the batter in 12 baking cups and stuck 'em in the oven. Only, for some reason I had the oven at 400 and not 350. I'm not really why I did this. I don't actually remember turning it up to 400, but I was singing along to Pandora and probably wasn't paying attention. I realized my temperature issue after they'd been cooking for about 10-15 minutes and turned it down to 350, but by then the damage was already done. Well this is what I got. The middle was runny, the edges were stuck to the paper. Stuck as in I couldn't peel it off at all. I even ate half of the paper on one before realizing it. They don't taste bad, but not good either. They just taste. And you can get so little out of each up it's not worth the effort. So much for my scrumptious sugar free, low carb, low fat dessert. If I try this again before I'm done with the sugar-free deal I'll make a quarter batch (I made a half batch for this trial run) and I'll bake it at 350 from the beginning and see if that makes a difference. Oh, and I won't be using paper liners with this again. Silicone cups maybe? I'm curious if the texture was partly from using Truvia instead of Sugar. 3/4 tsp of Truvia = 2 tsp of sugar, so I used way less volume than was called for, and perhaps this needs the volume to make it bake up just right. When I'm off this sugar-free/low-carb deal, I'll just turn this into a full blown cheese cake. Marquette here! I've got a tasty tasty pin for you today. Well, the original looks tasty, the Pinstrosity, not so much. I LOVE me a good simple dinner recipe, and this one purports to be just that, but Alex had a bit of trouble with it. There it is...Man Pleasing Chicken, or as the original author suggests, “So Good it Can’t Be Described, Explosion on Your Taste Buds Chicken.” And I'm not gonna lie, that looks dang good. 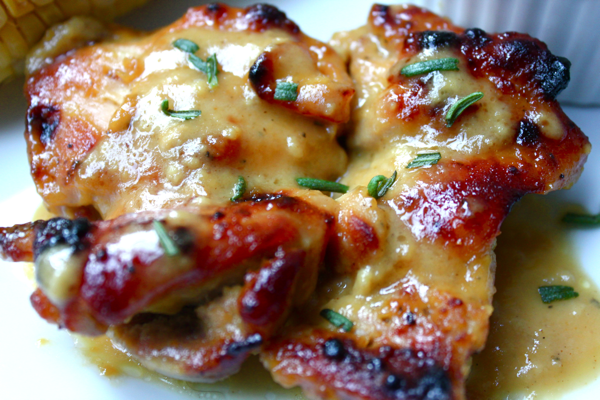 Seriously, I think I'm going to try making this for dinner tonight. 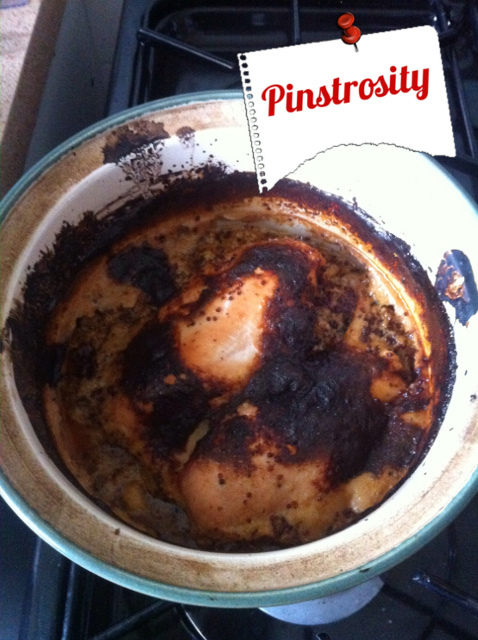 Alex's “So Bad it Can’t Be Described, Explosion in your Oven Chicken.” Yikes. She explained to us that "Other than the fact that I am the owner of the world's most unreliable oven (I set it to medium, which it took to mean 'hotter than the sun'), the main problem was that I didn't realize that there was a difference between Dijon and wholegrain mustard. The results were an almost entirely inedible meal and an uncleanable casserole dish." So yes...way too hot of an oven would definitely cause problems. There's not anything much we can suggest for that one, other than put an oven thermometer in there and when Medium means Surface of the Sun, try a different setting. Having had an unreliable oven once though, I do know that won't even solve the issue all the time, especially when the oven changes from surface of the sun to polar ice cap all by itself. But the wholegrain mustard. That there probably was part of the problem. Wholegrain mustard is the whole seed (not ground up) in oil/vinegar/wine/water/whatever liquid is used in that particular mustard. It has a different taste and texture, which would have been good in a rub, dressing, or marinade for this chicken, but it wasn't quite the right thing for this recipe. You definitely need to use prepared mustard (which is the mustard seed all ground up and in the liquid, the mustard that most of us are used to that comes in a squeeze bottle-or a jar I guess). The liquid form will change the taste and texture quite a bit. And, dijon mustard has it's own specific taste to it as well, which you won't get from wholegrain mustard. When I have disasters like this and the dishes are un-cleanable right away, I try (I say try because often I am lazy and I don't do this, but it would help if I did this each time, and it's not really all that hard) to fill the dish with hot water and I add quite a bit of dish soap. I scrub the sides for just a few seconds and then I set the dish in the sun (outside if the weather permits) and let it soak all day. Sometimes if the pan is really bad you'll have to go at it with one of those metal scrubbies, but usually the sun soak helps. I'll have to let you know how this turns out for me tonight. I'll put a little addendum on this to let you know! Em here, so today we have a great Pinstrosity, Eden, did the foot work for us and did this science-fair-project-status. This is a great project to have on hand, especially this summer with everyone coming in and out of the house all season. She gave us what worked, what kinda worked, and what bombed. The Pinstrosity is five other traps that didn't work. Eden did not send pictures because, well let's face it, looking at a picture of a fly trap that didn't work well, that had maybe four dead flies in it just didn't seem... very fun. Eden I will allow this lack of pictures, only because I REALLY hate bugs. Moving on. Eden had a need, a need for a speedy way to get rid of those pesky flies. Her husband, trying to help, bought one of those disgusting fly tape traps that just kinda hang there like a reminder to the other flies to stay away (which usually doesn’t work thankfully), and as a way to make you stop in your tracks and rethink that sandwich in your hands. Gross right? So she took to her Pinterest account and went fly hunting (cyber speaking). She gave each test 24 hours in her kitchen, at which time she found Test 6 had one fly, and the control had 7 or 8 flies. Wanting to give them all a fair shot, she put them outside and gave them another 24 hours when she found these much more promising results! She concluded that indoors they didn’t seem to be as effective. However outside they were much more effective. Good luck with getting rid of the pests, and as Eden put it, Happy Hunting! Cloudy With A Chance of Neon? Em here, vacation was fabulous! But I have to admit I missed the blogging world, and I am glad to be back! This little project was sent to us by Erin, a few simple things could make this flawed lantern fabulous! Now the green isn't the camera or the flashes fault, this is all the Pinstrosity. Erin said she followed the directions, and initially it looked great (below) but it kinda looks like a giant loofah (we will get to that). This project is made by putting a flame-less LED candle inside a hanging Chinese lantern, and then using hot glue to cover the lantern with crafter's "stuffing" (not batting, we will get to that also). Here is the finished product, before it got all lit up, however when the lights went out, things got...scary. There a few differences here that are key. The original pin says to use cotton batting, there are two different kinds of "batting" we see here, after a phone call to the quilting queen, A.K.A. My Lovely Mama, I found out that the one used in the Pinstrosity is actually is batting , while in the original they used stuffing (as in what you put in a stuffed animal). There is a difference here because the batting comes on a bolt, like fabric, it's flat (also like fabric) and hard to mold (hence the loofah look). 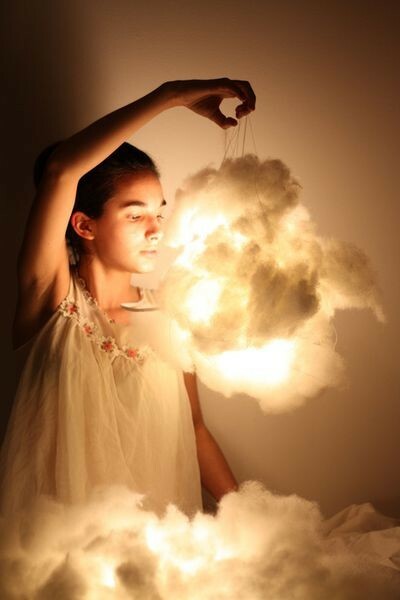 Whereas the stuffing is loose and fluffy (like a cloud), making it SUPER easy to create just that, a cloud! Also another thing that is important to consider when gathering supplies is to buy the LED flame-less candles, make sure you get the kind that emit little to no heat, which if you don't, could be a safety issue. The problem that Erin ran into was she bought super cheap lights from the dollar store that were blue, which mixed with the lantern which is yellow, making everything seem green. Other than that the project is fairly easy, make sure you check the lights for low heat, and don't leave unattended if you are worried about them getting hot, safety first folks. Super cute for a wedding decoration, kids themed room, (again safety first of course), or a party. Let us know if you tried this out and found some lights that rocked! Is that Poo or Berry Cobbler?